Dead stuff on the beach, is it Nessie? Most skeptics have seen photographs of something that is purported to be a “dead chupacabra” or “dead sea monster” or “dead Bigfoot”. What the photograph usually shows is something that is in an advanced stage of decomposition. Nessie? Sea Serpant? Look at that long neck! People often aren’t trying to pull a hoax, the truth is that most living things quickly stop looking like something we would recognize fairly soon after death. 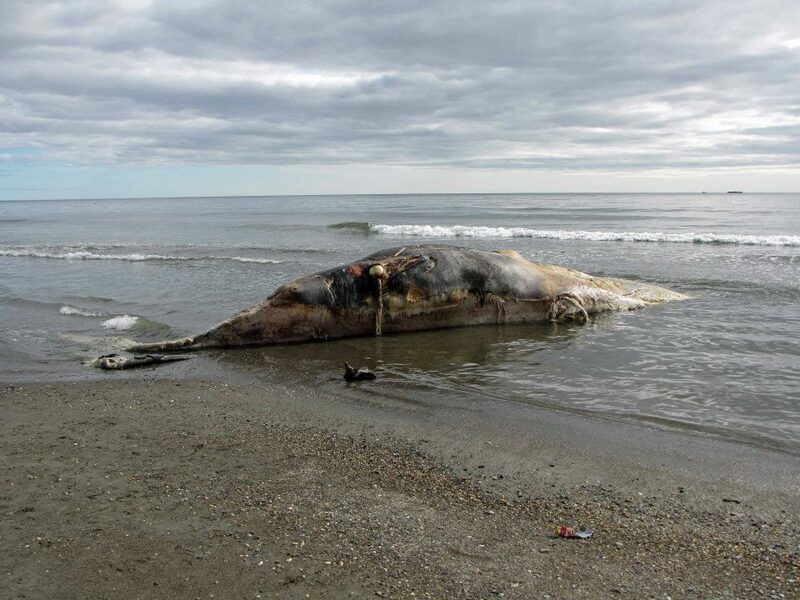 My daughter sent me photographs of a dead whale on the beach in Nome Alaska. My daughter was in Nome as part of her job as a geologist, and she truly enjoyed the frontier feeling and friendliness of Nome. Still, she was there in the summer, and when a whale floated up on the beach it just sat there. 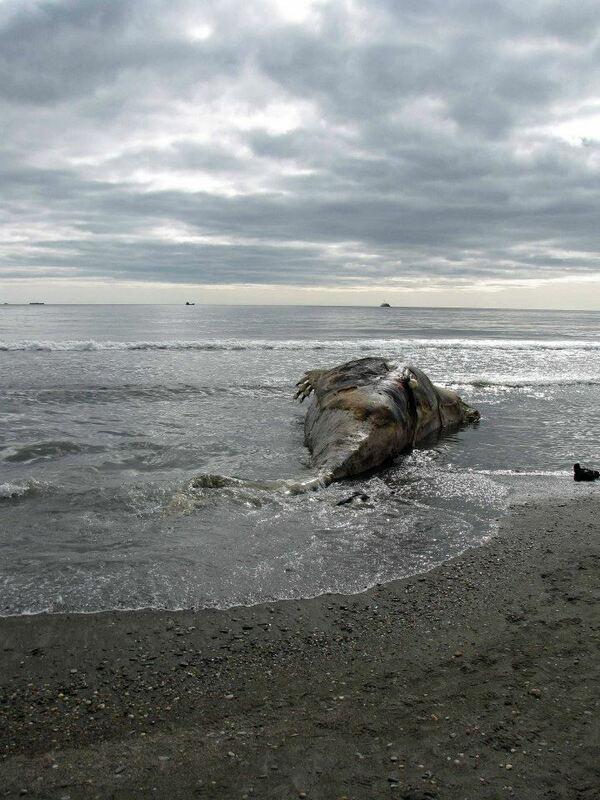 It was close enough to town that all of Nome could tell there was a beached whale, without looking. The smell was enough. As the whale slowly decomposed, the smell increased and eventually was joined by another dead whale. I enjoyed seeing the various stages of decomposition, while also glad the “smell o camera” has not yet been invented. At certain points the corpses truly looked like a sea monster. smells like whale to the locals! 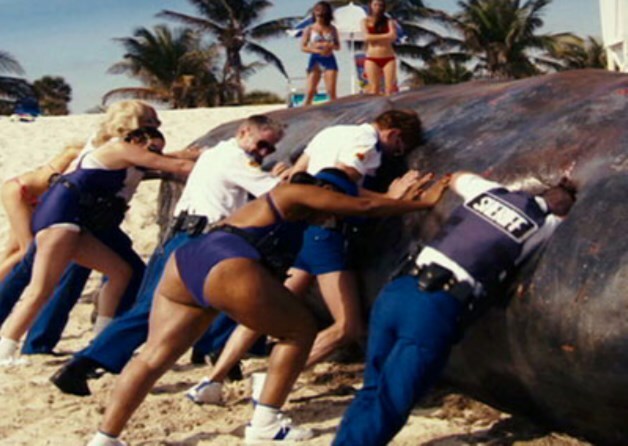 if you want to know why the whales aren’t just “blown up” rent the Reno 911 in Miami movie. No one in Nome ever mistakes a rotting whale for a sea monster, they are far too common. However, for someone not familiar, sea monster is a guess that is not that far fetched. Skeptics of course assume that something they do not know, is simply something they don’t have enough information about yet. Skeptics are also willing to even go grab a DNA sample, not just snap a photo and post it online with “dead sea monster”. Our mind wants to define almost everything we see, we have to put a label or name on everything. Being able to delay that urge to identify everything, especially the urge to identify it as something not even proven to be real, is a sign of a true skeptic. We’ve had to “unlearn” that urge, and need to help pass on that critical thinking skill to others. 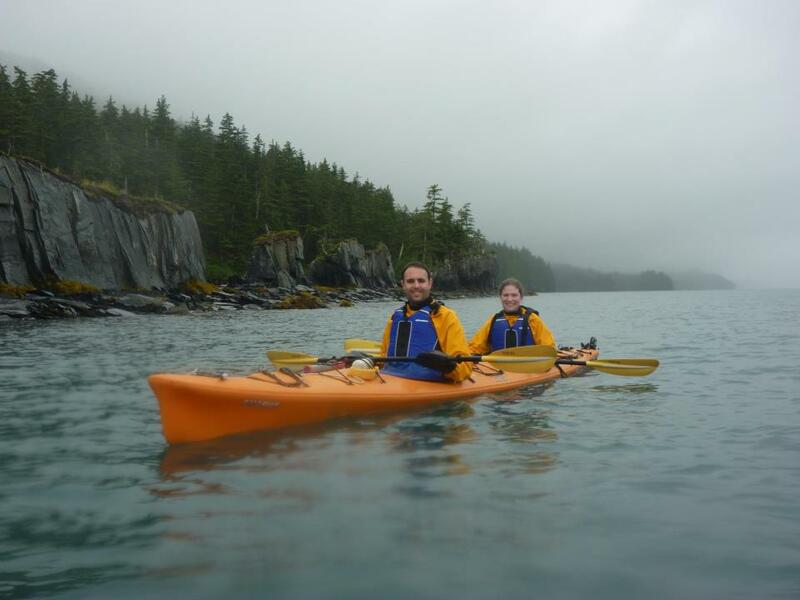 My daughter and son in law, enjoying their time working in Alaska without fear of sea monsters. « Fun Friday Flick! James Randi Painting.